Denver and beer go back a long way - right back to the city&apos;s founding in 1859. The miners and pioneers who flocked to the new city after gold was discovered in the Platte River were a thirsty bunch - Denver&apos;s downtown was thick with saloons and barrooms. The hub of all most activity was Larimer Square. In fact, the first city government was formed - where else - in a saloon called the Apollo Hall in Larimer Square, which you can check out for yourself at 1425 Larimer Street. Denver&apos;s early residents might have been a little too thirsty in those days - one of the first laws enacted by that city government was an ordinance prohibiting the selling of liquor on the streets or from wagons or tents. Beer history of monumental proportions was made in the area when a young German immigrant by the name of Adolph Coors (who came to America as a stowaway aboard a ship) founded the Coors Brewery in Golden in 1873. His amber concoction, brewed with fresh Rocky Mountain water from natural springs surrounding the brewery, became a favorite among locals, earning it the name "Miner&apos;s Banquet." Coors Beer didn&apos;t remain a local secret for long. Over the years, it became one of the largest manufacturers of beer in the U.S., and was family-owned until 2006. But some things never change: Coors still uses the same 44 natural springs that dot the company property to brew its beverages. Visit the MillerCoors Brewery (13th and Ford, Golden), take a 30-minute self-paced tour through its malting, brewing and packaging processes, and sample some fine Coors beverages afterwards (if you&apos;re over 21, of course). Prohibition first struck Colorado in 1916, then the entire nation in 1920. Even so, Coors found ways to survive for 18 dry years, including converting the brewery into a malted milk manufacturer. Denver, meanwhile, found ways to keep enjoying beer, albeit in a more discreet fashion. The Miller Building (1401 Larimer St.), was once Gahan&apos;s Saloon, a legendary watering hole and poker hall for politicians, policemen and city hall reporters. During the dry years, Gahan&apos;s Saloon became Gahan&apos;s "Soft Drink Parlor" as a cover for the Denver&apos;s hottest speakeasy, which operated out of the basement. Perhaps it was inevitable that Denver&apos;s long beer history would give rise to a population filled with beer lovers -- including some who would even begin brewing and selling their own beverages. On any given day, more beer is brewed in Denver than in any other city in the U.S. Today, there are 15 brewpubs and microbreweries in downtown Denver including the two of the largest in the nation: the Wynkoop Brewing Company (1634 18th St.) and the Rock Bottom Brewery (1001 16th St.) Interesting beer fact: Denver elected one of the Wynkoop&apos;s founders, John Hickenlooper, mayor in 2006 (he&apos;s now Colorado Governor). Coincidence? With so many unique and tasty brews to try in The Mile High City, it&apos;s no wonder Denver has become the go-to metropolis for beer connoisseurs all over the globe. According to the Guinness Book of World Records, there is no other place on earth where a beer aficionado can find more beers on tap than the Great American Beer Festival (GABF), held each fall in The Mile High City for more than 30 years. Over the course of three days, close to 50,000 beer-lovers tour America&apos;s brewing landscape, one ounce at a time, by sampling more than 3,000 different beers from more than 600 of the nation&apos;s finest breweries. 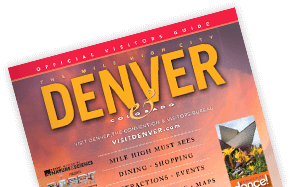 The GABF, which is held annually in Denver&apos;s Colorado Convention Center, gathers practically every type of beer from all of the regions of the country, arranged geographically on the festival floor. Coinciding with GABF is the annual Denver Beer Fest, a citywide celebration of beer, with tastings, parties, rare beer tastings and more.